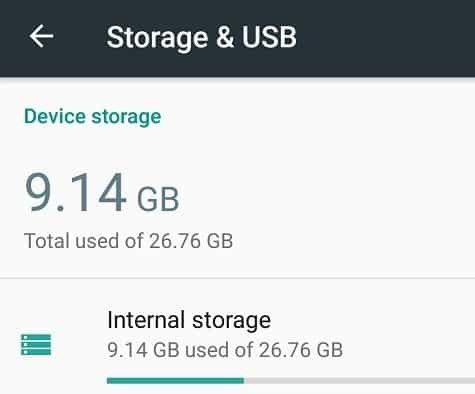 Traditionally, Android devices pointed out the huge differences between internal and external storage as some functions were limited to the internal storage, especially after Google imposed several restrictions on how apps could interact with SD cards back on KitKat. Since then, Google has completely changed its tune. In Lollipop, SD cards were welcomed back again with open arms. And on Marshmallow, things got even better with Flex Storage, one of the least understood and marketed features of Android 6.0. Google has said almost nothing about the feature, not even when it talked exclusively about Android 6.0 Marshmallow. There is a pretty good chance that the company neglects to talk about Flex Storage because its own Nexus devices do not support microSD cards so the feature is lost on them. What Flex Storage basically does is that it formats your SD card so it can be used as your phone’s internal storage both to make it more secure and to introduce additional GBs of space in your device with ease. You can pretty much use any SD card that works with your phone but you should know that the card will be formatted and have all of its data erased. Furthermore, the formatted card will only work with your own device unless you format (and delete all of its contents) once again. I do wish there was an option to make the card compatible elsewhere too so it can be read by card readers on PC but I guess we work with what we have. Using Flex Storage is very simple as the only difficult part is deciding whether you want to use the SD card exclusively with your phone or not. 1. Open the Settings in your Android device. 2. Head to the Storage & USB menu. 3. Select your SD card from the list. 4. Tap on the option that reads “Format as internal” and confirm by tapping on the “Erase & format” button. 5. When the process is almost over, your phone will most likely mention that some of your data can be moved to your newly formatted SD card. You can choose to “Move now” or “Move later” and I highly recommend doing it as soon as possible to avoid complications.